Massive yet exquisite, Alicia ring features large clear stone with faceted surface and wavy edges. 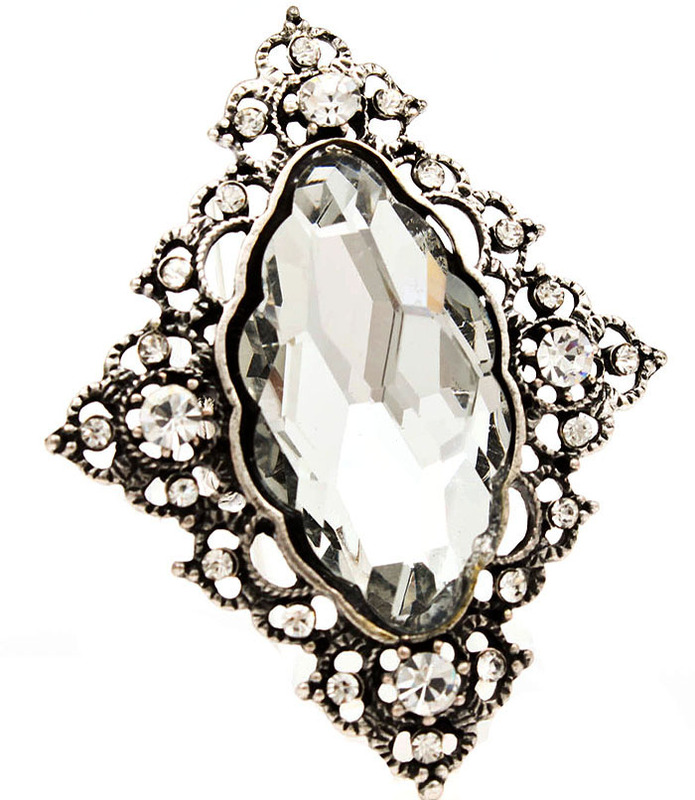 Silver tone framing is richly adorned with clear crystals. The ring has trendy rhombus shape. Oz Bling brings you great quality and low priced cheap jewellery online.